Controversial Islamic preacher Zakir Naik might embolden local Muslim clerics to follow his "intolerant" style. This is the concern of G25, a national group of Malay-Muslim leaders, who said it is increasingly concerned about the tolerance shown by Malaysian authorities towards Zakir's extreme statements. "We believe in free speech, but when it is allowed in favour of a certain person and denied to others who have different views; that is not a healthy kind of freedom for our multicultural society. "We are also concerned that Zakir's negative remarks on other religions are emboldening our Malaysian clerics to follow his intolerant style. "The responses that we see on chat groups indicate that non-Muslims are dismayed at the new trend where high-ranking religious officials seem to have immunity in expressing their opinions so freely without regard for the feelings of other races," said the G25 secretariat in a statement today. 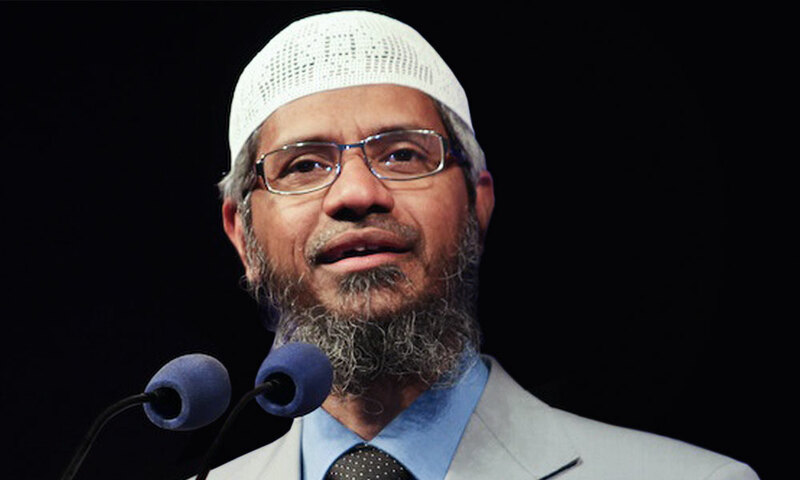 While they respect Zakir's right to express his views on Islam and compare it with other religions, the group is worried as he has often created anger among the public for frequently mocking other religions. They also pointed out that he has been banned from preaching in the United Kingdom, Canada, Singapore, India and Pakistan for his supposed links to extremist views and intolerance towards freedom of religion. Zakir loves to debate, but only with those that he and his private foundation approve of, they said. There are also allegations, they added, that he will not debate with scholars from other religions. "He evades serious debates with internationally-known religious scholars by laying down his own conditions. "By insisting to debate in a setting of his own choice, Zakir shows his true colours of a preacher who wants a big crowd to cheer him loudly so as to drown out his opponents," G25 said. Zakir's attitude towards religion does not belong in today's world and can cause serious social harm in a multiracial country like Malaysia, they said. They said it is disturbing that the public does not know whether Zakir met the strict criteria and qualifications for eligibility for permanent residency, which are applicable to others. The hundreds of thousands of stateless children in Malaysia, they said, deserve to know. They also deserve to know if an exemption was granted to Zakir, they added. It was previously reported that Zakir had obtained PR status in Malaysia five years ago. "Ultimately, Malaysian authorities should not be seen as championing an individual with such a reputation and we encourage them to proceed with caution. "Should Malaysia be called upon to cooperate in the fight against dangerous religious extremists, we strongly encourage our government to do so," they said. Zakir appears to have a warm relationship with politicians on both sides of the divide in Malaysia, with BN and PAS leaders taking to social media to share pictures of their meetings with the preacher. They include Prime Minister Najib Abdul Razak, Deputy Prime Minister Ahmad Zahid Hamidi and PAS president Abdul Hadi Awang. Zakir’s plan to hold a talk last year comparing Islam and Hinduism sparked an outcry, prompting the authorities to ban the event.